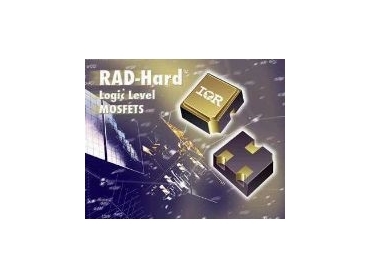 INTERNATIONAL Rectifier has released radiation-hardened (RAD-Hard) logic-level gate-drive MOSFETs designed to boost efficiency and performance in circuits that traditionally relied on bipolar transistors. The general-purpose, low-power switching devices are made for harsh environments. They are packaged in a UB (3LCC) surface-mount or through-hole package and are a compact, lightweight, hermetic alternative to bipolar devices. The IRHLUB7970Z4 and IRHLUB770Z4 can be driven directly from industry-standard logic gates, linear ICs or micro-controllers that operate from a source of 3.3V to 5V. They are available in screened and commercial off-the-shelf (COTS) versions.